The Masjid al-Ḥarām (Arabic: المسجد الحرام‎, literally "the sacred mosque"), also called the Sacred Mosque, and the Grand Mosque or Great Mosque of Mecca, is the largest mosque in the world and surrounds Islam's holiest place, the Kaaba, in the city of Mecca, Saudi Arabia. Aerial view of the Masjid al-Haram complex, as in 2013. One of the Five Pillars of Islam requires every Muslim to perform the Ḥajj, one of the largest annual gatherings of people in the world, at least once in their lifetime when able to do so, including circumambulating the Kaaba. The Grand Mosque includes other important significant sites, including the Black Stone, the Zamzam Well, Maqam Ibrahim, and the hills Safa and Marwa. It is always open, regardless of date or time. 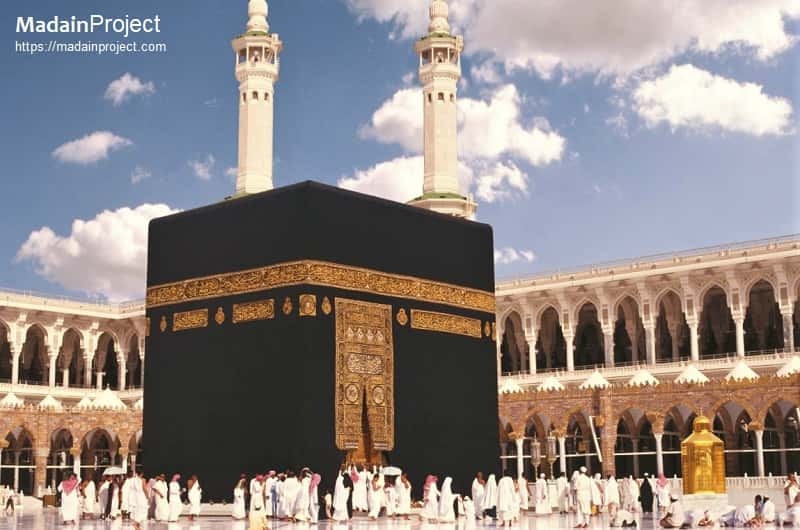 The Kaaba, (Bait ul-Allah) is the focal point of Muslim prayer i.e. Qibla, it is also the focal point of Hajj and Umrah pilgrimages. It is considered by Muslims to be the Bayṫ Allāh (Arabic: بَـيْـت ٱلله‎, "House of God"), and has a similar role to the Tabernacle and Holy of Holies in Judaism. Being the qiblah (Arabic: قِـبْـلَـة‎, direction of prayer), Muslims would face it when praying. The Quran contains several verses regarding the origin of the Kaaba. It states that the Kaaba was the first House of Worship, and that it was built by Ibrahim and Ishmael on Allah's instructions. The Mataaf is the open area around the Kaaba, where pilgrims and Muslims circumbulate around Ka'bah. Total area of current Mataf's ground floor is about 14,000 square meters. The Kaba is located in the center of Mataf area, along with Hateem (Hajr Ismaeel) and Maqam Ibrahim. The Mataf area was originally just sands, and was first plastered by 'Abdullah ibn Zubayr, since then Mataaf has seen countless, building and rebuilding developments. Current Mataf floor is paved with Carrara marble. Malik 'Abdullah ibn Abdulaziz expansion of Masjid al-Haram, 2008- till date CE. The modern expansion included 300,000 square metres of space towards the north-west of existing structures. It can accommodate 1.2 million worshippers, including a multi-level extension on the north side of the complex, new stairways and tunnels, a gate named after King Abdullah (lower left). The Great Mosque of Mecca is a very dynamic structure, it has been ever expanding since the sixth century until very recently. Zam Zam is a water well near Kaaba, which according to Islamic Tradition sprang to quench the thirst of prophet Ishmael (Ismail). Islamic tradition states that the Zamzam Well was revealed to Hajar, the second wife of Ibrahim's and mother of ʾIsmaʿil. The well originally had two cisterns in the first era, one for drinking and one for ablution. In the era of the Abbasid caliph Al-Mansur 771 CE (154/155 Hj.) a dome was built above the well, and it was tiled with marble. And take the station of Ibrahim as a place of salah (prayer). al-Safa and al-Marwah are twin hills of Sa'yee at Sacred Mosque. Safa and Marwah are two hills between which Abraham's wife Hagar ran, looking for water for her infant son Ishmael, an event which is commemorated in the saʿy ritual of the pilgrimage. Pilgrims make rounds at these hills from Safa towards Marwah seven times in commemoration of Hajrah doing the same in search of water almost 4000 years ago. The Mas'a gallery (as-Safa and al-Marwah) is included in the Mosque, via roofing and enclosures. The length of Sayee gallery (distance between Safa and Marwa) is approximately 450 m (1,480 ft). The two points and the path between them are now inside a long gallery that forms part of the mosque. The Masa'a gallery connects two mounts (still in Mecca) preserving the memory of what Hajira and baby Ishmail had sacrificed for water supplies and food supplies. The Bab Bani Shaybah (left); until 1950s this single single free standing arch was a part of Mataaf area. al-Maqdisi accounts nineteen gates of Masjid al-Haram while naming these. According to al-Maqdisi's account it is preferable and desirable for pilgrims to enter the mosque through this gate. This gate has since 1960s been removed. The other two significant structures are Muqam Ibrahim (center) and Ka'bah (right). The original Bab al-Fatah (gate of victory) of second Saudi expansion, is one of the five main Gates of Masjid al-Haram. It was from here that the Prophet Muhammad entered during the conquest of Makkah on Friday, 20 Ramadhan 8 Hj. The facade of the gate had four marble pillars with three arches, allowing entrance to the mosque. The gate with twin minarets was torn down to be re-built during the King 'Abdullah expansion phase. Ottoman Porticoes, are the arched porches built around the courtyard (mataaf) built during the Ottoman era. During the King Abdullah Expansion these porticoes were designated to be preserved, and now stand re-built on three sides of the Mataaf area, except the Masa'a. Some of these porticoes were rebuilt some 15 years ago due to the damage suffered in earlier expansions. All the original porticoes will be preserved except these newly reconstructed ones. Shaykh Safi-Ar-Rahman Al-Mubarkpuri (2002). Ar-Raheeq Al-Makhtum (The Sealed Nectar): Biography of the Prophet. Dar-As-Salam Publications. ISBN 1-59144-071-8. Great Mosque of Mecca. (n.d.). In ENCYCLOPÆDIA BRITANNICA. Encyclopædia Britannica. 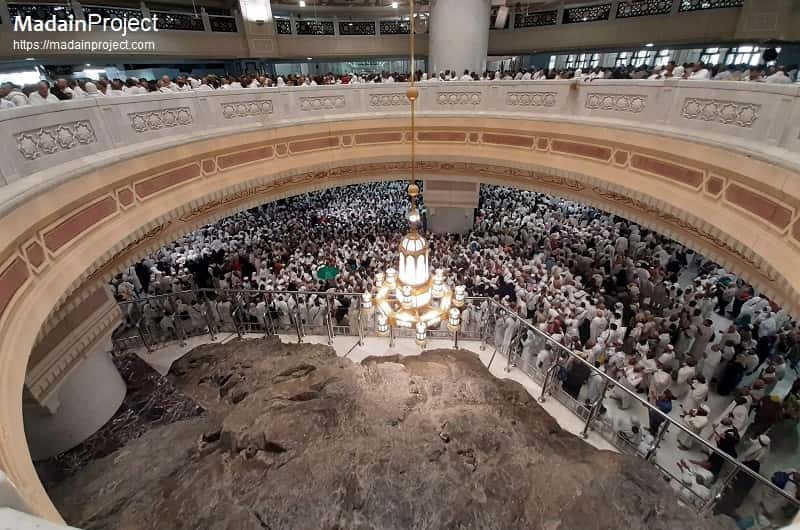 Retrieved April 10, 2019, from https://www.britannica.com/topic/Great-Mosque-of-Mecca. Ali, Wijdan (1999). The Arab Contribution to Islamic Art: From the Seventh to the Fifteenth Centuries. American Univ in Cairo Press. ISBN 9789774244766. Retrieved 17 September 2017. Ibn Ishaq, Muhammad (1955). Ibn Ishaq's Sirat Rasul Allah – The Life of Muhammad Translated by A. Guillaume. Oxford: Oxford University Press. pp. 88–9. ISBN 9780196360331. James Wynbrandt (2010). A Brief History of Saudi Arabia. Infobase Publishing. p. 101. ISBN 978-0-8160-7876-9. Retrieved 12 June 2013. Zeitlin, I. M. (2013-04-25). "3". The Historical Muhammad. John Wiley and Sons. ISBN 0745654886. "'Abdul Ghani al-Maqdisi عبد الغني المقدسي". Muslim Scholars Database. Arees University, Texas USA. 2010-10-28. Retrieved 2014-09-27. A.C. Brown, Jonathan (2009). Hadith: Muhammad's Legacy in the Medieval and Modern World (Foundations of Islam). Oneworld Publications. p. 61. ISBN 978-1851686636. Ahmed, Irfan. "The Destruction Of The Holy Sites in Mecca and Medina". Islamica Magazine. No. 15. Archived from the original on 13 July 2011. Retrieved 7 September 2016. Esposito, John (1998). Islam: The Straight Path (3rd ed.). Oxford University Press. pp. 9, 12. ISBN 978-0-19-511234-4. M.J. Kister, "Maḳām Ibrāhīm," p.105, The Encyclopaedia of Islam (new ed. ), vol. VI (Mahk-Mid), eds. Bosworth et al., Brill: 1991, pp. 104-107. Abou-Ragheb, Laith (12 July 2005). "Dr.Sami Angawi on Wahhabi Desecration of Makkah". Center for Islamic Pluralism. Retrieved 28 November 2010. WORTH, ROBERT F. (April 10, 2009). "A Black Imam Breaks Ground in Mecca". The New York Times. RIYADH. Petersen, Andrew (2002). Dictionary of Islamic Architecture. Routledge. ISBN 9781134613656. Retrieved 17 September 2017. Karen Armstrong (2002). 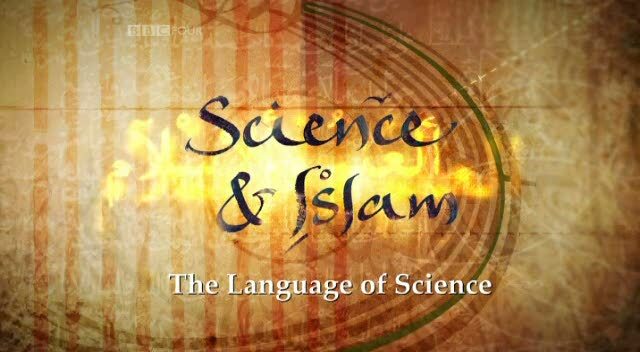 Islam: A Short History. p. 11. ISBN 0-8129-6618-X. Guidetti, Mattia (2016). In the Shadow of the Church: The Building of Mosques in Early Medieval Syria: The Building of Mosques in Early Medieval Syria. BRILL. p. 113. ISBN 9789004328839. Retrieved 17 September 2017.